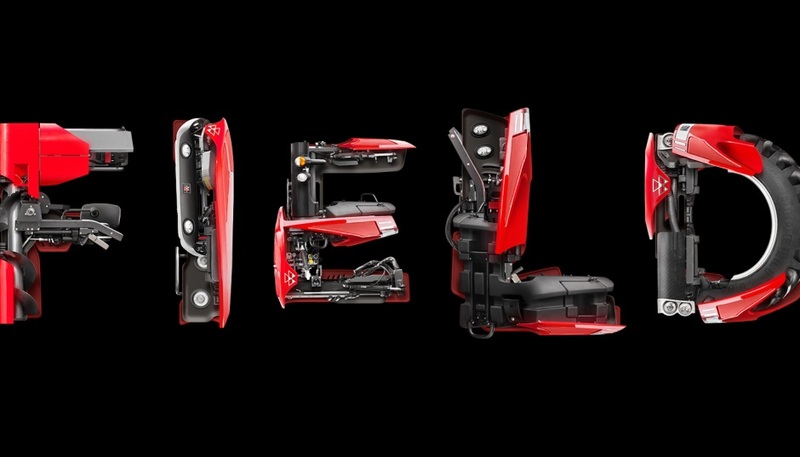 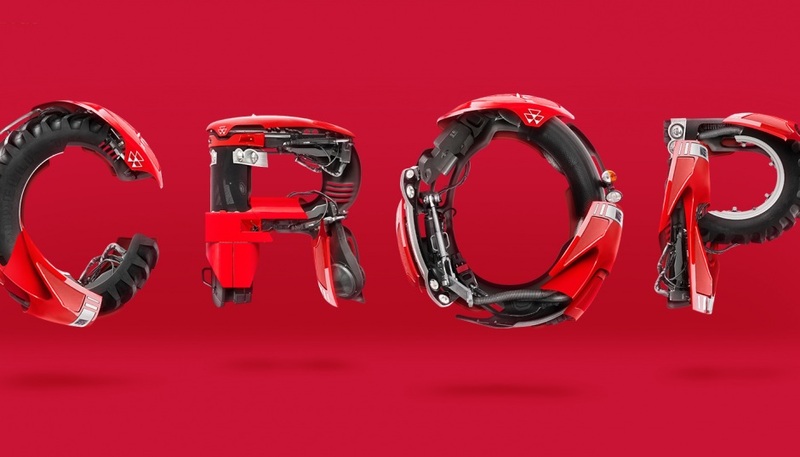 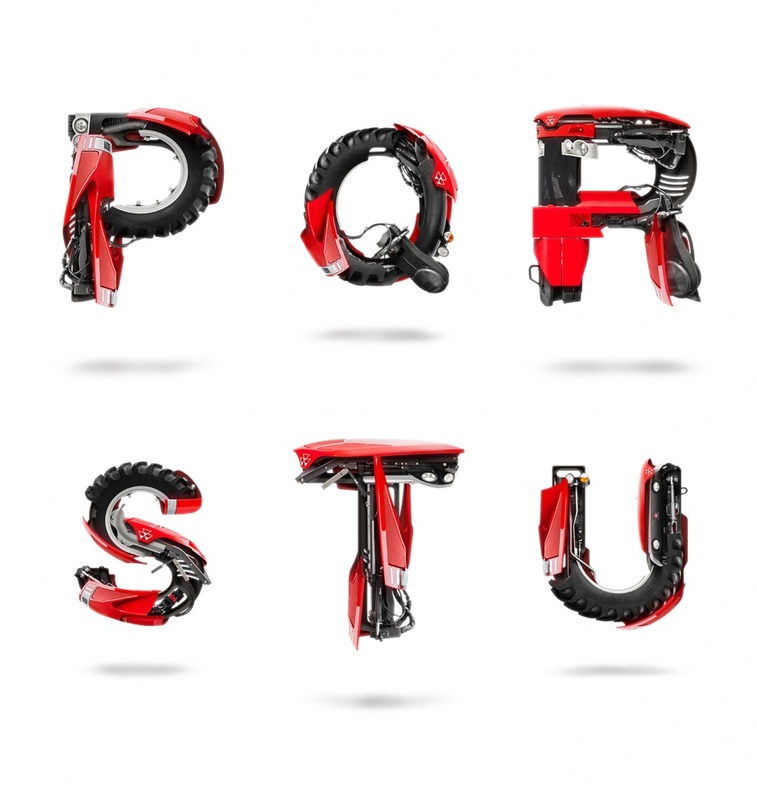 Alphabet developed by artist Dado Queiroz for Massey Ferguson. 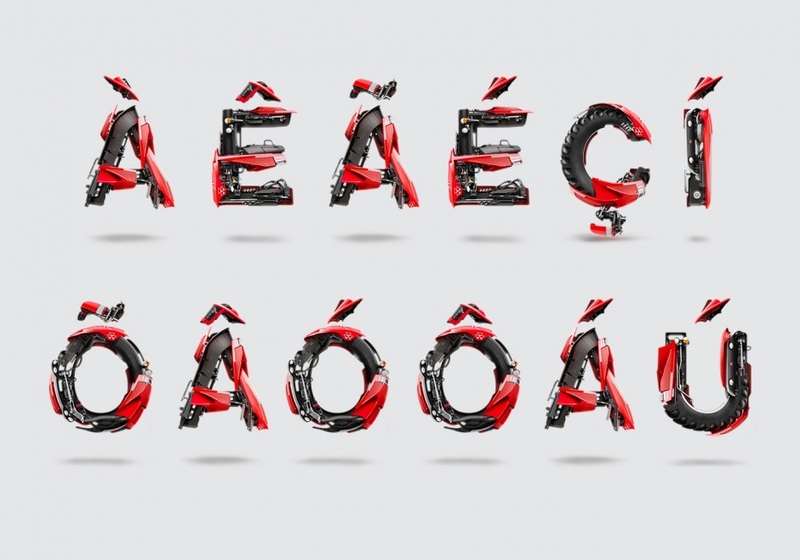 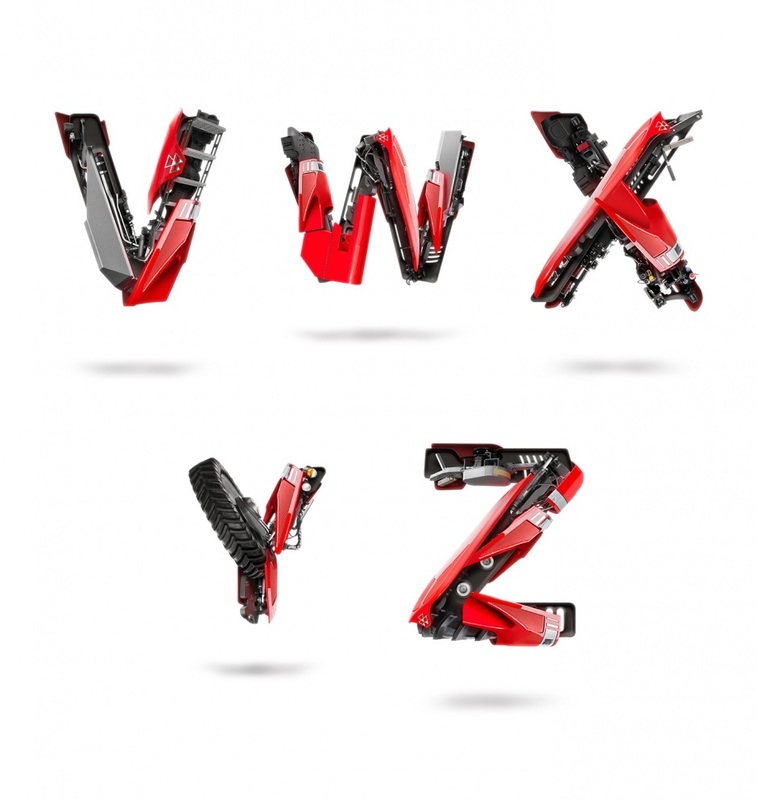 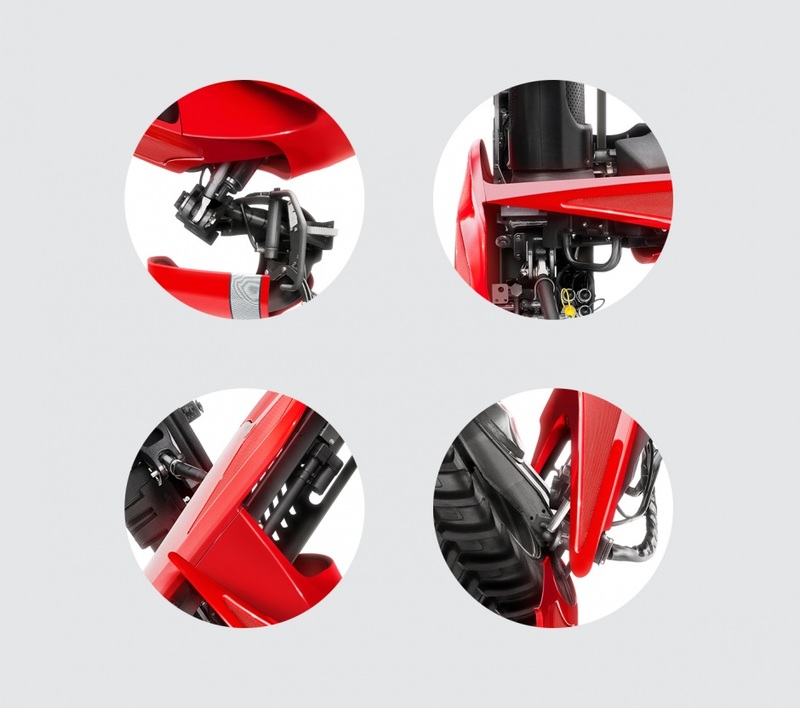 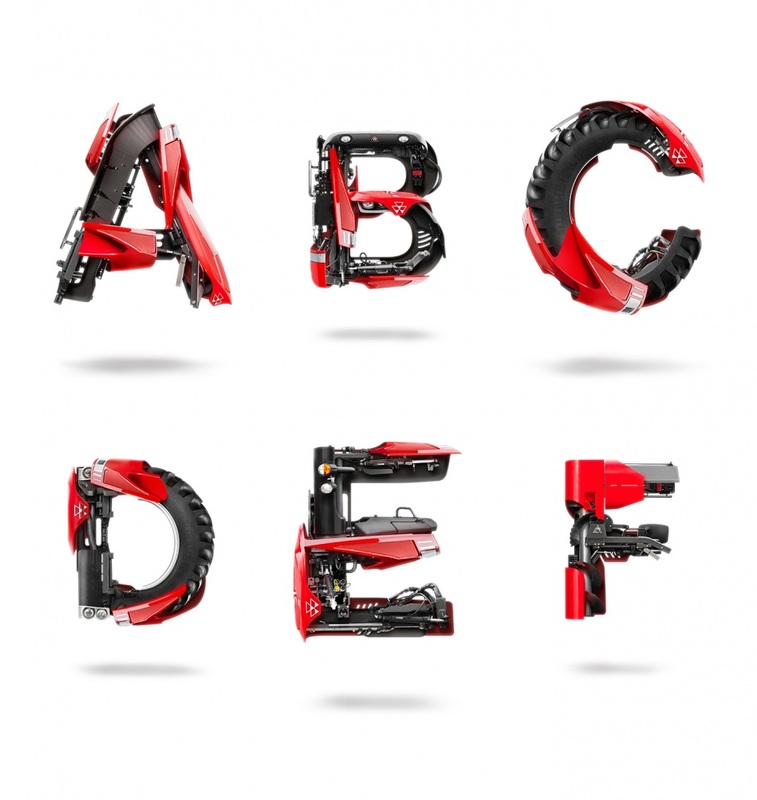 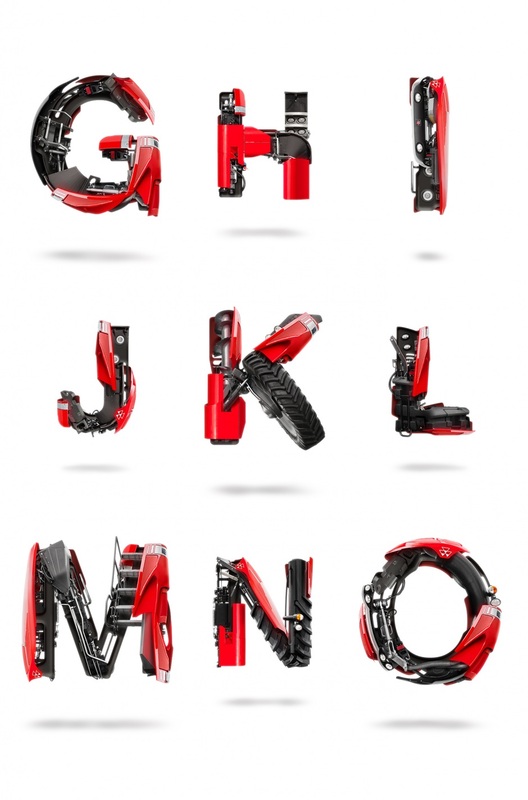 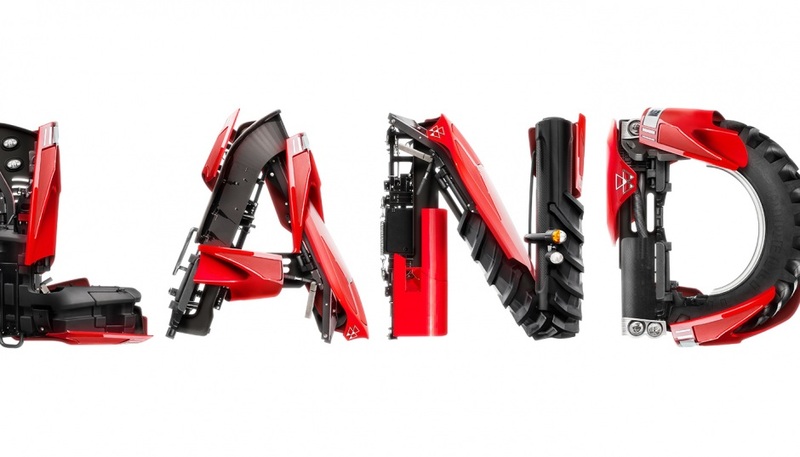 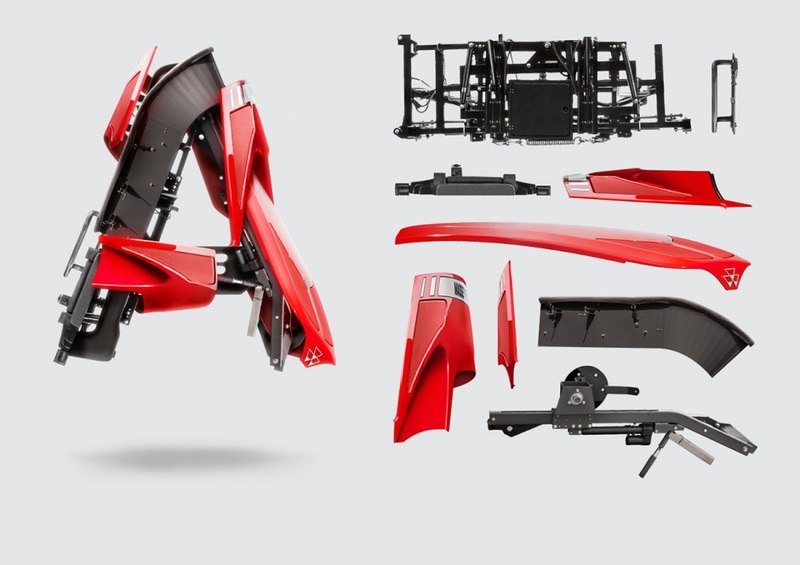 Artist Dado Queiroz was comissioned to develop an exclusive alphabet for Massey Ferguson, using parts from their products, such as tractors and harvesters. 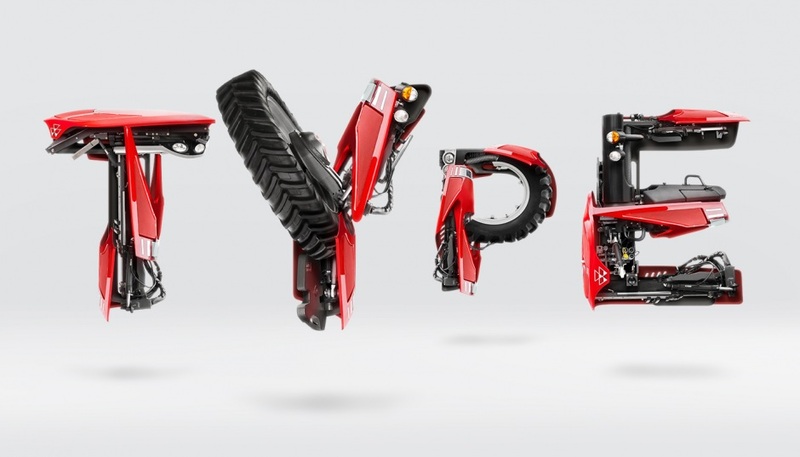 The overall shape of the characters was based on Helvetica Neue, Massey Ferguson's corporate font.